Tomorrow….good friends n good food. I can’t wait 🙂 oh, and movies of course. This meant I had a few days to work on projects at home and to even create few more. LOL. Let me share a few. 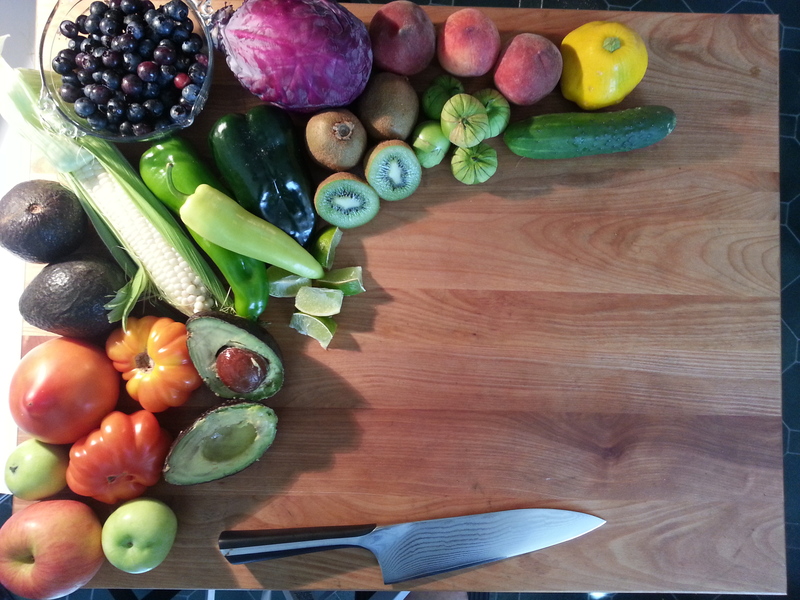 For those of you new to Foodismyzen I moved it a few months ago. It was to be a complete move. Photos, Posts, Pages and a working Search. Well, you probably already know how well that worked out, not. I will be working on getting the search to work and I’m still not sure about the Photo issue. I will also be setting up a Farmer”s Market slide show as I had done last year. Forward movement. Burps-Hiccups and all. Below is a pic of an idea of mine. When I have conversations, or you know, the girl talk places it would be really simple to just have a card. Like I said it’s an idea. Here’s to a simple yummy dinner. 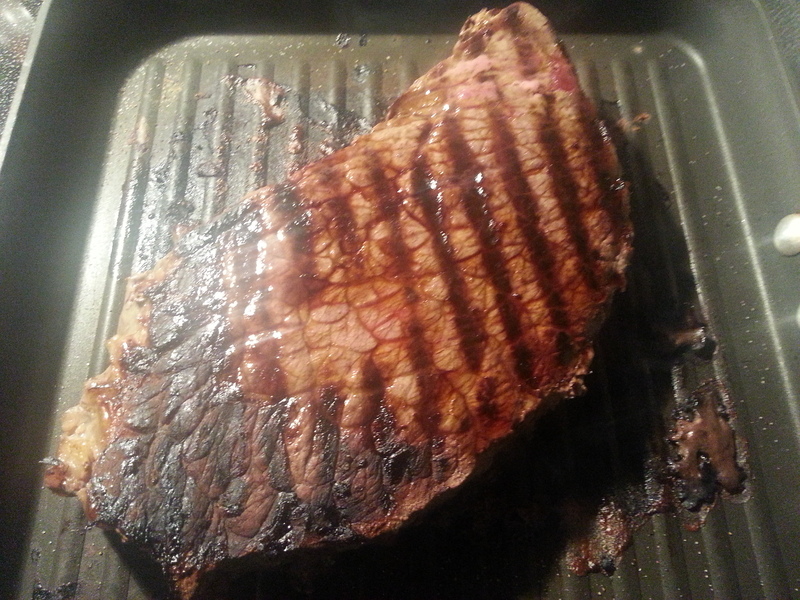 London Broil cooked to perfection….rare rested to medium. Beautiful spiralized veggies. Zucchini, Carrot and Roma Tomato. Seasoned gently with some Garlic and Parmesan. Have you ever noticed when purchasing a London Broil that they don’t seem to look very big, til you get home and start cooking it? I swear this was a small London Broil. We will be eating it for maybe 3 meals. Not sure what I will do with it this evening. But, I do promise to share whatever it is. Til next time…..I am off to get the food for tomorrows lunch with the family. 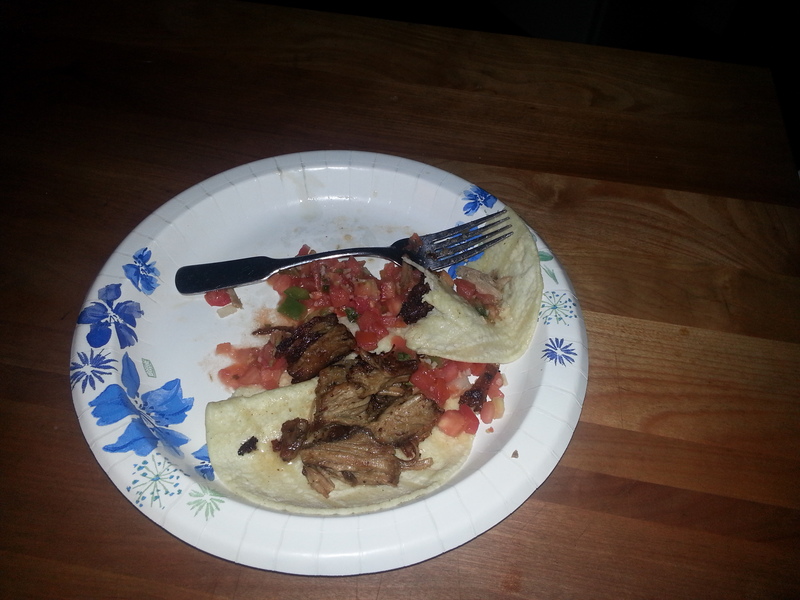 Tacos: a Yummy crunchy comfort dinner. 1 lb. Good Quality Ground Meat, you choose. I had some lean good ground Beef. 1 pkt Taco Seasoning or your own blend. Cook to directions on season packet or Brown meat, Rinse with hot water. Return to pan, add seasoning,add about 1/2 cup of water, stir well.Place a lid on the pan and lower the temperature to a low simmer. Until moisture is almost gone. Tortillas: I have a terrific Mercado nearby. That means “fresh Tortillas” YUM. You choose: Soft, Crunchy, Thick, Thin, Flour or Corn. Guacamole: mashed Avocado with Lime and Garlic. There are many variations on this. I just gave you the basic idea. Semi-Boneless Country Pork Ribs. Mexican Oregano, Garlic and Lime Juice. Simmer til it falls apart.